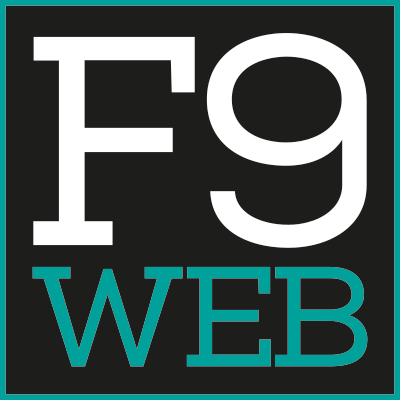 F9 Web Ltd. understands that your privacy is important to you and that you care about how your personal data is used and shared online. We respect and value the privacy of everyone who visits our site www.f9web.co.uk and will only collect and use personal data in ways that are described here, and in a manner that is consistent with our obligations and your rights under the law. If you do not accept and agree with this Privacy Notice, you must stop using our site immediately. “We/Us/Our” means F9 Web Limited, a limited company registered in England under company number 9545465. “Client” means a customer of F9 Web Ltd. If you have any cause for complaint about our use of your personal data, please contact us and we will do our best to solve the problem for you. If we are unable to help, you also have the right to lodge a complaint with the UK’s supervisory authority, the Information Commissioner’s Office. For further information about your rights, please contact the Information Commissioner’s Office or your local Citizens Advice Bureau. This data is required to provide website services and to invoice you accordingly. Cookies are small data files that allow a website to collect and store a range of data on your desktop computer, laptop or mobile device. Cookies contain information unique to your web browser which allow the website to remember your choices and preferences during your visit, but they do not include personal information that can identify you. Cookies help us to provide important features and functionality on our website and we use them to improve your customer experience. Cookies help our website recognise your device and remember little bits of information about your visit like your preferences, settings and how you use the website. This information is then used to personalise and improve the way you interact with our site. You may stop or restrict the placement of cookies on your computer by adjusting your settings in your web browsers. However, this may interfere with some of the functionality of the site. The cookies have a various duration: a mix of session and “permanent” cookies lasting 30 mins, 6 months, or 1-2 yrs. They anonymously track the use of the website. These cookies are set or updated on any page visited. Several cookies are set but all serve the same purpose: to see how people reached the site and used it, including search terms used and referring sites. For more information, visit https://developers.google.com/analytics/devguides/collection/analyticsjs/cookie-usagefor more detailed information. All personal data is processed and stored securely, for no longer than is necessary in light of the reasons for which it was first collected. We will comply with our obligations and safeguard your rights under the Data Protection Act 1998 OR GDPR at all times. You have the right to withdraw your consent to us using your personal data at any time, and to request that we delete it. Data is not kept for a period longer than required. F9 Web Ltd. client data is stored securly in the UK. Data security is very important to us, and to protect your data we have taken suitable measures to safeguard and secure data collected through our site. SSL encryption (Encryption at rest) is used. Additionally, for busines reasons, F9 Web Ltd. client data (in particular invoicing data) is backed up daily using Amazon Web Services. We use AWS as a sub-processor and further details about their privacy notice can be found via https://aws.amazon.com/compliance/eu-data-protection/. Backups are stored privately and only accessible to F9 Web Ltd.
Requests to view data F9 Web Ltd. hold about are know as subject access requests ("SARs"). Where F9 Web Ltd. act as a data processor, we will assist you as data controller.